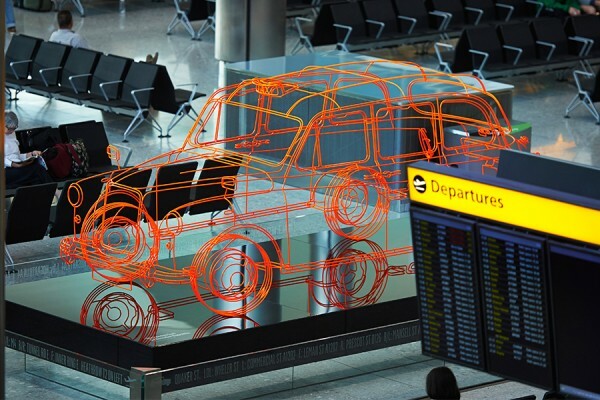 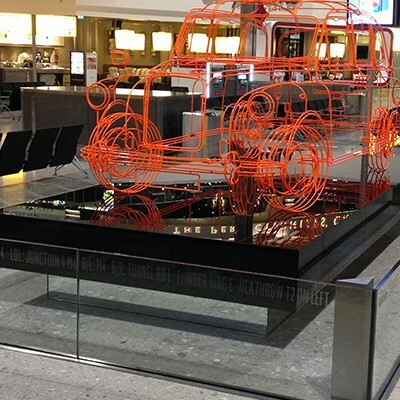 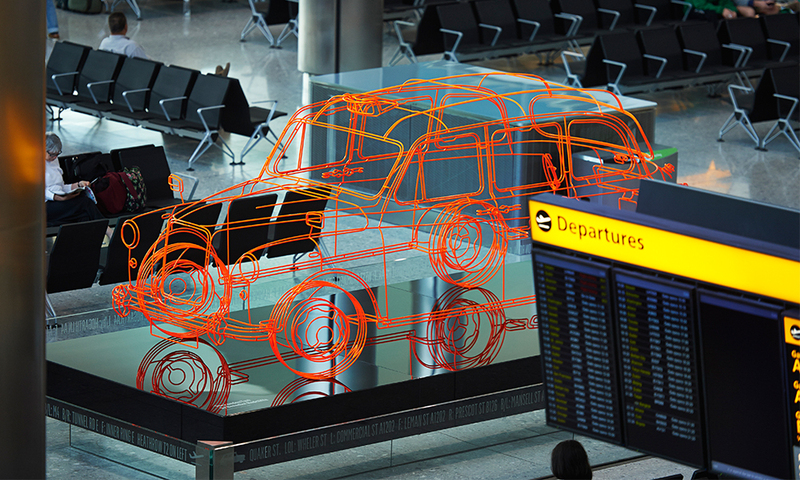 Thomasons’ glass engineering consultancy, Clear Structures, played a supporting role in the construction of the iconic London Taxi sculpture in Terminal 2 at London Heathrow. 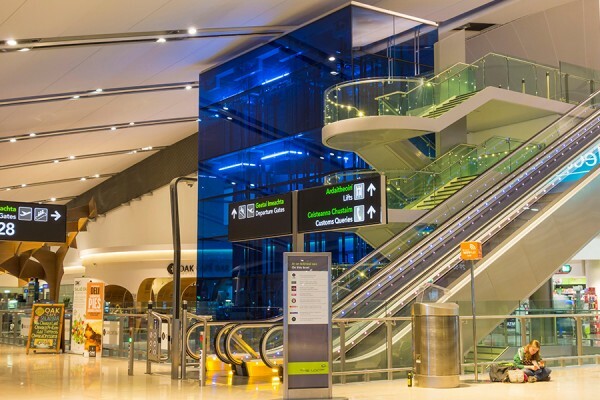 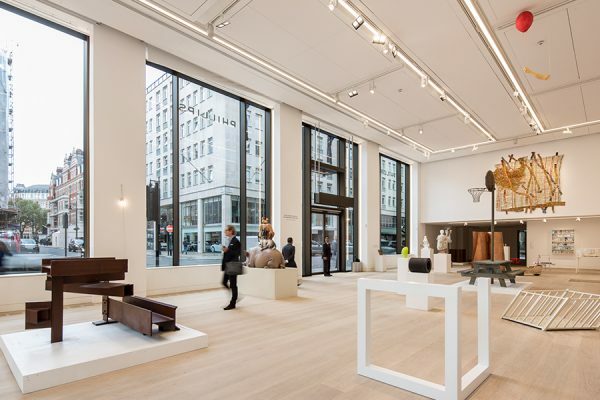 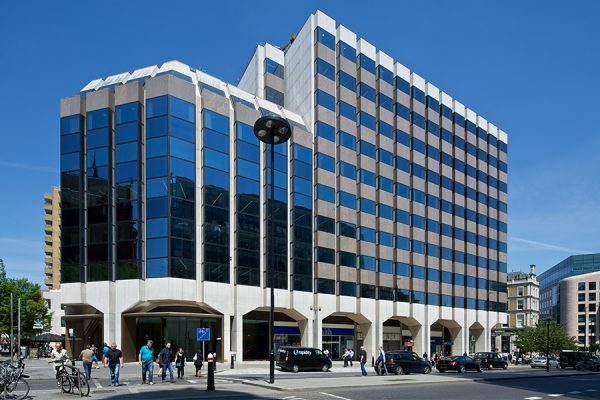 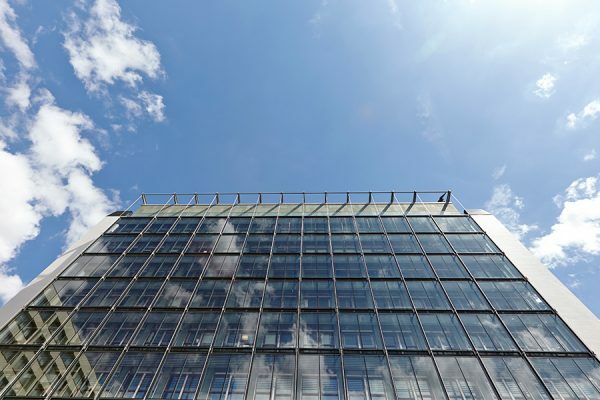 This project shows the versatility of glass engineering; innovative glass design is not just for commercial and residential work, but can make an equally important contribution to public art. 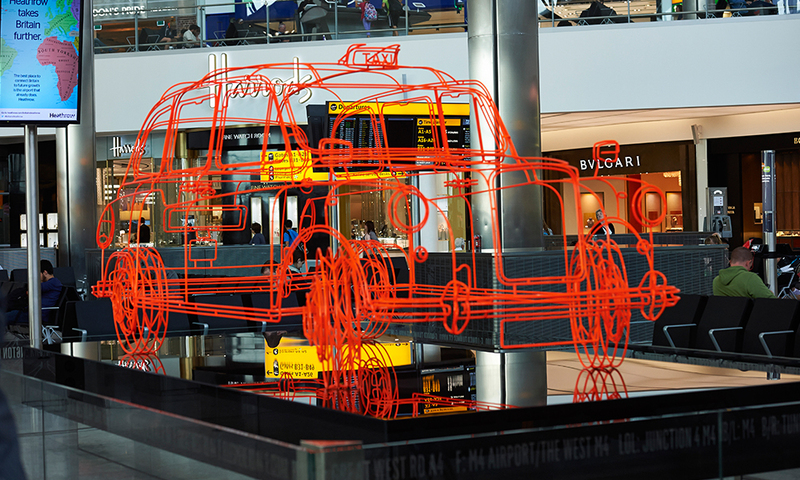 The eye-catching sculpture was inspired by the traditional design of a black London taxi cab, an instantly-recognisable symbol of London. 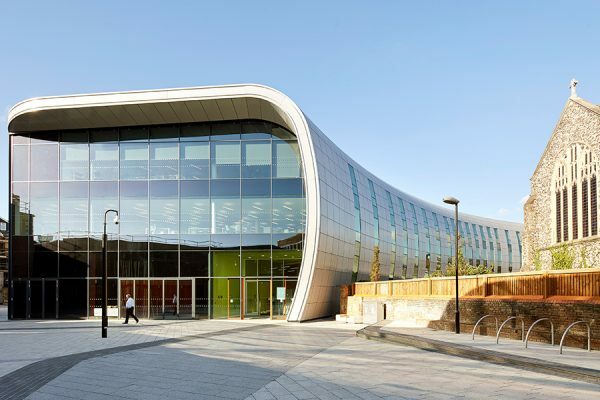 Clear Structures designed the steel plinth and glass cladding on which the sculpture sits, as well as the cantilevered glass balustrade that is clamped to the perimeter base and surrounds the exhibit. 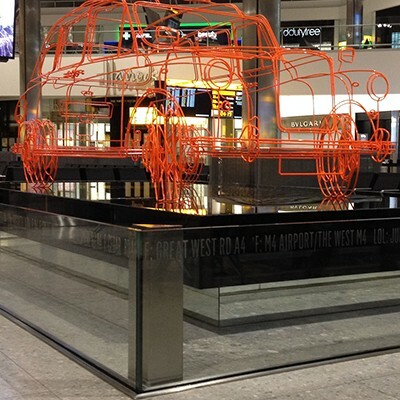 Both the glass plinth and perimeter glass balustrade were designed to make the support structure as unobtrusive as possible, while at the same time providing a secure barrier to protect and guide the public around the sculpture in a busy airport where crowds often form. 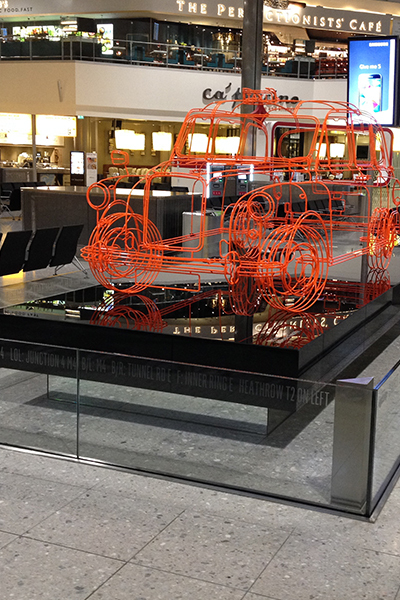 The etching on the plinth features step-by-step road directions from the artist’s workshop in Shoreditch to Heathrow’s Terminal 2 and references the The London Knowledge test taken by taxi drivers to obtain their licence. 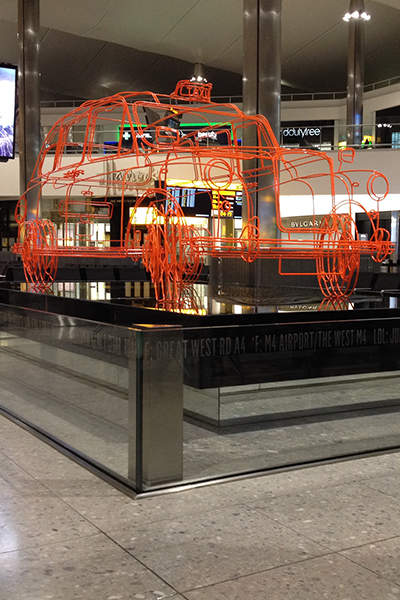 As a permanent central feature of the departure lounge in Terminal 2, the sculpture is seen by 20 million passengers each year.